What’s that you say? Ice cream isn’t a food group? Well, in my book it is. 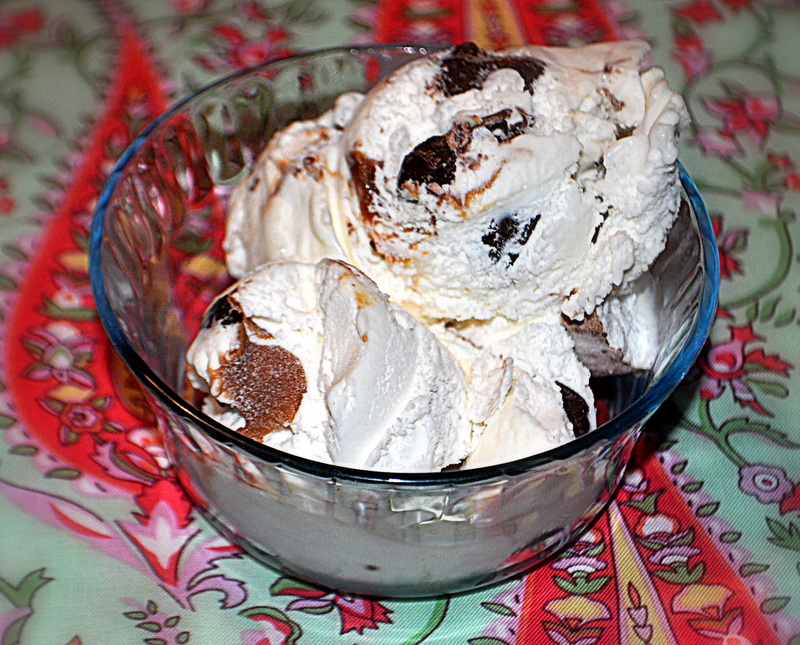 Ice Cream is so good it belongs in a food group all by itself. Oh, there are other foods I love, but not like ice cream. Some people could create a food group with only pizza, or pie, or bread. But for me, it is ice cream. And what is better than ice cream? That would be ice cream that is on sale! If you are lucky enough to have a Harris Teeter in your area, they have Blue Bunny ice cream on sale through tomorrow. 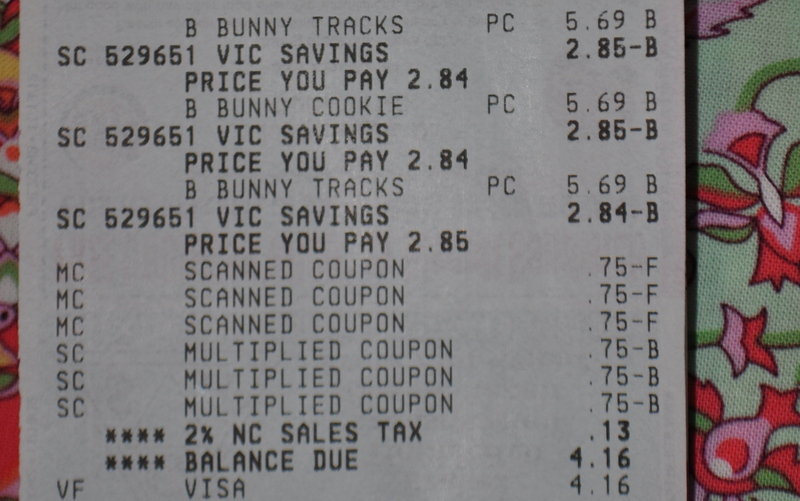 In addition, Blue Bunny has a $0.75 coupon on their website (if you register your email address), and Harris Teeter will double that to $1.50. I got 3 containers of Blue Bunny ice cream for just over $4. Seriously! — receipt below. Have a great evening. I’m going to sit back, eat my ice cream, and work on completing a few more border blocks for my UFO. Only 2 more to go and then I can start putting it all together. That is if I can pull myself away from this movie. Honeyman put in ‘Without a Paddle‘. If you have never seen this movie, you have really to. I think it’s on instant play on Netflix. It is freaking hilarious! The bear scene is the best! This entry was posted in Uncategorized and tagged block, food, group, Ice cream, quilt, sale, sew by monkeyneedle. Bookmark the permalink. Oh wow! Thanks so much! That’s such a blessing. I’m glad you enjoyed my blog.